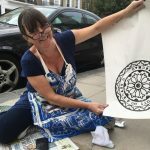 Kate Guy from Cardabelle Design and Sue Byrne engaged in some guerrilla print-making recently, using the beautiful manhole covers on the pavements in Primrose Hill, particularly the ones on Fitzroy Road outside the Princess of Wales pub. The pair were inspired by Berlin-based pirate printers who used urban utility covers to print bags and shirts. 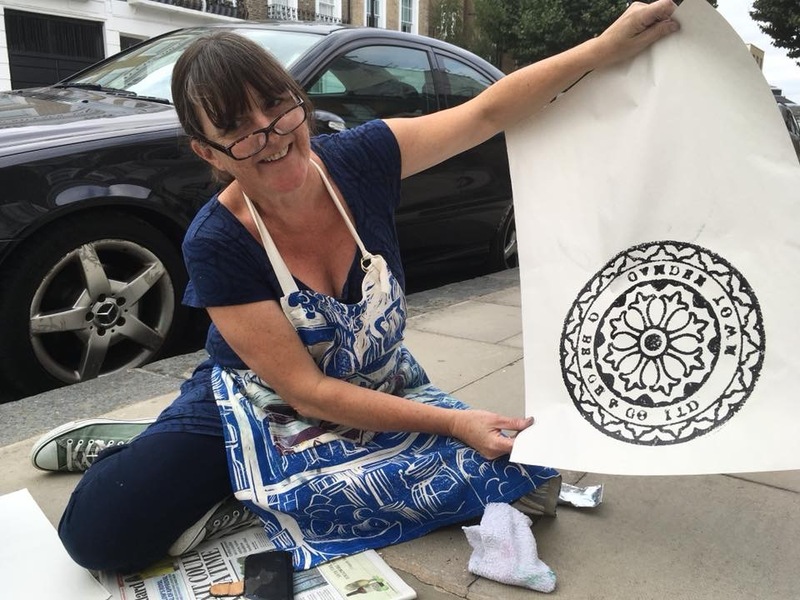 Printed coal hole bags can be bought from the Cardabelle Design pop-up shop at 41 Chalcot Road. Cardabelle Design is extending its tenure and will be there until Christmas. 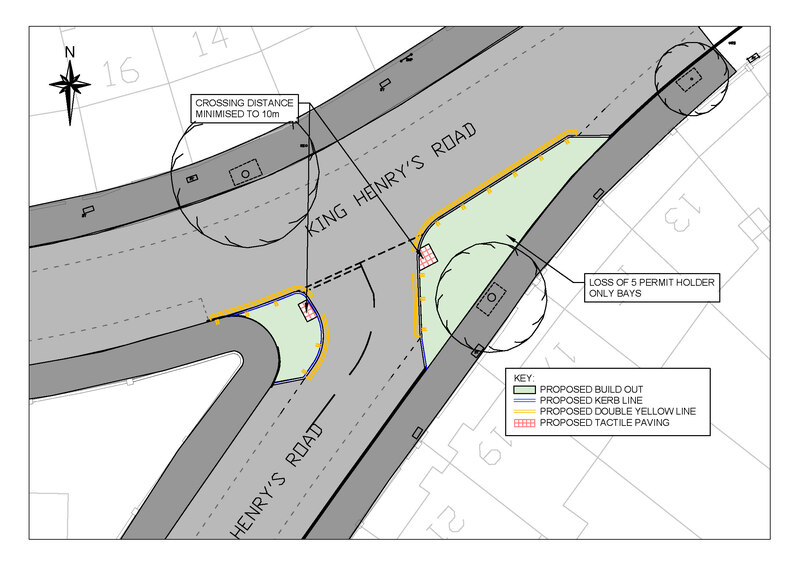 Over the summer Camden Council proposed a redesign of the junction of King Henry’s Road near Ainger Road. They feel the current layout is too wide for pedestrians to cross. 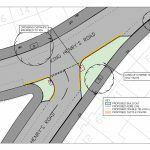 The plan is to extend the pavements on either side of the road and there is the potential to add small trees to these areas. 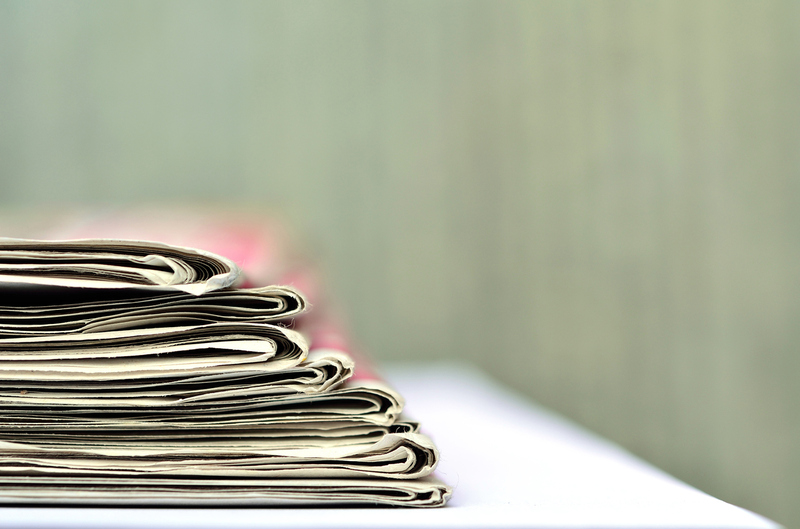 This scheme will result in the loss of five permit-holder parking spaces. Horizon Voices is a professional vocal ensembled formed by James Rhodes, Director of Music at Saint Christina’s School. It aims to provide educational workshops to as many children and young people as possible to develop their appreciation of and engagement with vocal music. Children involved in these workshops will be able to take part in a range of musical activities, such as ensemble singing, warm-up and breathing techniques, musical team-building activities, conducting, song writing, composing for voices alongside professional singers, performing with and learning from them. 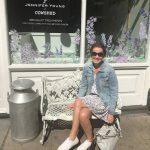 The first workshop in Horizon Voices’ inaugural season, Musical Building Blocks, takes place at St Mark’s Church on Saturday 13 October and is aimed at children aged 8–13. The workshop will explore the different elements that composers use to create their musical masterpieces, such as melody, rhythm, beat, dynamics and structure. Including music from The Greatest Showman and Moana, alongside folk and classical choral works, there is bound to be something for everyone!